We understand that security is of paramount importance for most organisations when choosing a technology partner. Storing your data in the cloud can be a scary prospect for many, with lots of questions as to where your data will be stored and being reassured that your data is safe. Working with Google, we are able to provide you with a solution that reaches all the top security certifications and regulatory compliance, giving you piece of mind that your data is safe. There are a number of ways for you to increase the security on your Google Apps domain, one of them being 2 Step Verification. This feature is used to add another level of security to your Google account, where once a month you will be prompted to enter an access code when logging on to your approved devices e.g. your Chromebook, laptop or mobile phone. You can find out more and start the setup process by clicking the link below. Download the latest security whitepaper from Google which highlights all the latest security certifications and regulatory compliance, along with all the information you need to know with regards to how Google stores it’s data and ensures the safety of your data at all times. This whitepaper is applicable to Google Apps for Work, Education, Government, Non-Profit and Google Drive for Work. 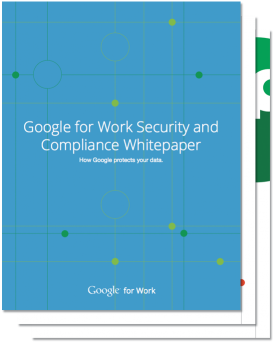 Please enter your details below for your free download of "Google for Work Security & Compliance Whitepaper"
Who owns the data I put into Google Apps? The simple answer is that you do. It’s up to you whether you perceive that the data belongs to individual users or your organisation, but put simply Google does not own your data. This means 3 things: Google won’t share your data with others, they will Google will keep your data only as long you require them to keep it, and you are able to take all your data with you if you decide to leave. Where is the data I put into Google stored? Your data is stored in Google’s network of geographically distributed data centres. Each piece of data is fragmented and split across several data centres, so that even in the extreme circumstances of one data centre being under attack or having a failure, your data will still be safe and accessible. Google’s data centres are designed with resiliency and redundancy in mind, eliminating any single point of failure and minimizing the impact of common equipment failures and environmental risks. As your data is split across a number of distributed data centres, there are no guarantees over which your data will be stored in, but Google usually allocate your data to centres in your region, whilst still fragmenting your data across multiple sites. Is Google Apps compatible with HIPAA compliance? For customers who are subject to the requirements of the Health Insurance Portability and Accountability Act (HIPAA), Google Apps can support HIPAA compliance. Under HIPAA, certain information about a person’s health or health care services is classified as Protected Health Information (PHI). Google Apps customers who are subject to HIPAA and wish to use Google Apps with PHI must sign a Business Associate Agreement (BAA) with Google. Is Google Apps FISNA certified? The Federal Information Security Management Act of 2002, or FISMA, is a United States federal law pertaining to the information security of federal agencies’ information systems. FISMA applies to all information systems used or operated by U.S. federal agencies—or by contractors or other organizations on behalf of the government. Google Apps for Government has received an authority to operate at the FISMA-Moderate level—the standard level for federal email systems—from the U.S. federal government. 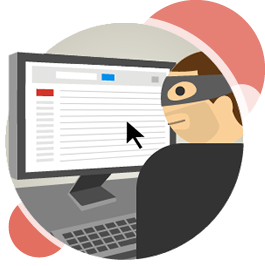 How does Google protect my organisation from spam and viruses? Google has one of the best spam blockers in the business, and it’s integrated into Google Apps. Spam is purged every 30 days. Google have built-in virus checking and enforce checking of documents before allowing a user to download any message.